Dory has experienced the true spirit of yoga as transformational practice. She believes in the power of yoga to guide conscious evolution, individually and collectively. Certified to advanced level and teaching full time since 2001, Dory has trained with various yoga schools, amongst them Sivananda (traditional hatha Yoga), Satyananda (yoga nidra and meditation), Krishnamacharya (Vedic Chant) and Dona Holleman (enlightened asana work), as well as studying yoga therapy with the Biomedical Trust. Dory teaches retreats and teacher training programmes internationally. Through her own practice Dory has discovered that regular practice promotes effective, positive and healthy living and is inspired to help others establish a strong practise in their own lives. She believes strongly in making the yoga (union) adventure joyful, keeping it light and remembering to laugh! Dory teaches classes, courses and private tuition around Bristol, the South West and London. She is a dedicated yogini and mother. "The breath is at the heart of practice. A good posture is when we can breathe well." Rory is one of Bristols most popular teachers. He has a breadth and wealth of experience, inspired by many systems of hatha yoga, martial arts and radical minds. His extensive and ongoing study with one of the worlds leading and much revered asana teachers, Dona Holleman (of whom has certified him to teach her method), continues to elevate and deeply enrich his practice, knowledge and teaching. Rory co-runs Bristol based yoga center Yogakutir with his partner Dory Walker. "Thank you for some wonderful classes, I feel I learn something new each time I'm at class. This is probably the most technical yoga I've done and I'm really enjoying it!" Prompted by backpain, Belle took up yoga some 26 years ago discovering a positive shift not only physically; like a bubble of oxygen rising up though turbulent waters, yoga helped gain clarity to take the next best step forward - sometimes immediate clarity, sometimes not so immediate! - but regular practice always opened the way ahead. 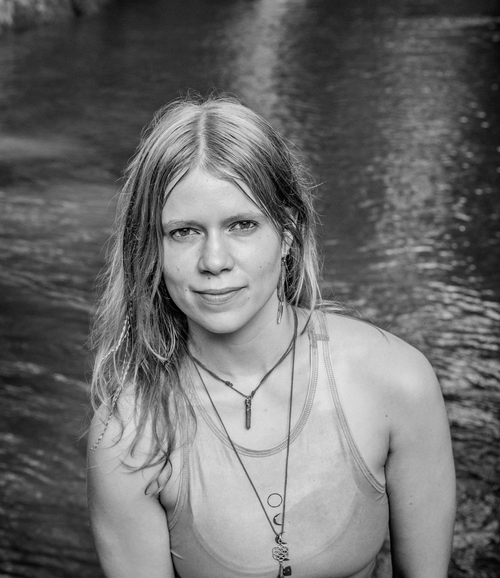 Teaching since 2003, Belle is a registered Yoga Therapist and a qualified teacher in both the Satyananda/Bihar and Sivananda Vedanta lineages. Drawing from ongoing studies & practice across a wide rage of traditions over the years, including Ashtanga Vynasa, Iyengar and Scaravelli - Belle teaches traditional Hatha yoga, weaving flowing or static asana on the breath, pranayama, mudra, bandha, meditation, yoga nidra and chanting/Kirtan according to level and context. Her aim is to help students establish a sustainable, safe and enjoyable practice, leading towards greater well-being, clarity and joie de vivre! Alongside teaching, Belle continues her singing career, developing songwriting, voice coaching and performing too. She is qualified in Holistic, Indian Head and Facial Rejuvenation Massage. Belle is a practicing Buddhist. Kate McKenzie has been practising various forms of yoga all her adult life. She teaches Kundalini and Sivananda yoga. Her busy career as a singer/performer informs her approach. Her workshops explore the connection between breath, movement and chakra awareness in order to free the voice and enjoy greater well being and creativity. Kundalini yoga has a wealth of practices which really help to balance, energise and develop the entire being. Kate has lead "Mantra Choirs" for fun singing and improvising in groups to free body, sound and soul! Other training includes massage, Reiki, First Nature voice, Indian Rag and Life Coaching. Raquel Alves started teaching in 1992, she is qualified with Para Yoga (Rod Stryker), BWY, Sivannanda. Originally from Africa, she now lives in the UK. She also practiced Ashtanga yoga for years under John Scott and spent 4 months in Mysore with Sri Pathabi Jois, previously she did Iyengar Yoga. Her personal practise draws on her current teacher's teachings, she also assists him when he is teaching in Europe. She is a Mentor for the Life Centre on their teacher diploma course which she often assists on. She brings a wealth of knowledge to her teaching and empowers her students to have fun and to enquiry within, in aiding them to empower themselves. Tania's practice began with her dad as a teenager. After 20 years of regular yoga practice she studied with the Amrita School of Yoga to qualify as a Traditional Hatha Yoga teacher. She has also studied with Claire Missingham, (Vinyasa Flow), Charlotte Bliss (Sivananda yoga), Janet Evans, (Vini yoga), Dan Levitas (Ashtanga yoga), Nigel Gildersen (Hatha yoga), amongst others and most recently is proud to be a student of Judith Hanson Lasater (Yin yoga). Virginie teaches yoga in order to help others experience the freedom, self-knowledge and sense of peace that come from a focused yoga practice. Her inspirational classes combine a light-hearted and down-to-earth approach to yogic philosophy with a mindful, breath-led flowing physical practice. She discovered yoga in 2001 and has been teaching since 2007. She trained with Nicky Knoff in Hatha Yoga, and with Tara Judelle in Anusara Yoga and 'Embodied Flow'. She has travelled extensively over the years, seeking out teachers in the UK, Germany, Australia, Thailand and Bali, in order to deepen her practice and knowledge of yoga, meditation, as well as other mind-body practices such a Thai Yoga Massage, Dance, and Balinese philosophy. Her teaching offers a continuously evolving, personalized blend of different yoga styles, firmly rooted in Hatha Yoga and life-embracing Tantric philosophy. Having trained in psychology, she is also particularly interested in the psychology of yoga and how we can use this ancient practice in our daily lives to increase our wellbeing and happiness. Atiya is a warm and compassionate yoga teacher. She was drawn to yoga initially through books on self-enquiry and meditation, and later through attending classes. Yoga became important for Atiya when working as a solicitor in London, where it had a profound effect on her life. It kept her steady, grounded and positive during a major transitional period. Atiya studied yoga within the Sivananda tradition, has been teaching since 2011 and is certified to Advanced Level. Her aim is to share the teachings as best as she can - with love, inspiration and a sense of fun! She is committed to her personal development as a teacher and student as she continues with her own practice, study and regular immersion in ashrams. Alongside teaching yoga, Atiya is a registered and practising Nutritional Therapist. She draws on her degree in Biochemistry, training in Naturopathic Nutrition and holistic approach to promote health and vitality. Lisa was first introduced to Yoga in 1990 but it was only in 2001 that she took herself off to the Sivananda Ashram in India to train as a Yoga teacher. Since then she has completed a diploma in yoga therapy, pre-natal yoga, restorative yoga and vinyasa flow yoga. She continues her studies with Rod Stryker of ParaYoga and is also a practising Sport Massage Therapist. Lisa's holidays include asana, pranayama, meditation and relaxation as well as visualisation, chanting, bandhas, mudras and mantras. As well as learning the art of creating a positive affirmation and self awareness exercises to help students gain a deeper understanding of where they are in their lives and how to go about achieving their dreams in the future. Jaya started practising yoga in 1995 and has explored many styles since. She completed an intensive 9-month teacher training in Byron Bay in 2003 and taught at Brahmani Yoga (former Purple Valley) in India until 2008. Jaya now lives and works in London and periodically leads or assists on retreats abroad. Jaya teaches a dynamic flow style that combines the integrity, precision and alignment of Iyengar with the movement and breath awareness of Vinyasa. Her most influencial teachers include Glenn Ceresoli, Louisa Sear, Clive Sheridan, Max Strom and Julie Martin. Jaya's techniques tend to suit students of varying abilities, as they can be both calming and challenging. Most important, Jaya creates a safe and nurturing environment that encourages self-discovery and non-competitiveness. She is particularly skilled at one-on-one adjustments. As well as strengthening the body and increasing stamina and flexibility, Jaya’s teachings help create a more peaceful mind, a more open heart and a more grounded attitude, all of which can help no end in today’s hectic world. Jaya is also a yoga therapist and certified to teach pregnancy yoga and yoga nidra. Gita shares the dance of the medicine wheel as a tool to awaken people's own healing power, helping each person to touch their inner wisdom and truth. In group activities, healing circles and personal awakening sessions, Gita supports the process of opening. During 30 years experience in bodywork, holistic therapy and energy work Gita has a unique approach of guiding each person to see where they are in life's circle right now. Her study of Yoga and Shamanic Technique allow her to shed light on the missing link. She has taught and studied in India, Hong Kong, Japan, Europe and the US. Gita now lives in the Laurentiens, Quebec. Walking her own medicine wheel and being inspirited daily by her interaction with nature, she teaches healing, shamanic practices, runs healing circles and produces her own natural skin care, herbal products and ceremonial tools. During his many years of travel in Central America and India, Pierre lived close to the native cultures, from which he learned shamanic and yogic techniques. The experiences of those years led him to develop an intimate and respectful relationship with the Earth – his divine mother and communication with animal spirits. He is a skilled and sensitive guide with a wealth of experiences leading ceremonies and sweat lodges. Pierre lives in the Laurentiens, Quebec where the grounds and gardens of his home are full of medicinal plants, herbs, vegetables and flowers as well as much wild life. His passion is to love in rhythm with the cycles of nature and to inspire that connect in other. In yoga Ash has found a tool for liberation, a means to heal and to awaken our deeper authentic selves. After spending a number of years as a secondary school teacher, Ash turned to yoga as a full time path. She has taught and travelled internationally, including five years teaching in Malaysia, China and Thailand and on the Freedom through Movement project in Palestine. Ash embraces influences from many movement patterns in her yoga teaching: rock climbing, running and freediving are woven into dynamic vinyasa, steady bodywork and peaceful breath-centric restorative practices. Inspiration for her classes is rooted in the Earth’s elements and in the bodies and stories of the students that she welcomes. Ash lives a full life, teaching in Bristol and as one half of the duo HandstandYogi, Ash has just completed her first book The Handstanding Yogi which is currently in the top 100 yoga books on Amazon.